Surfing some design-inspiration sites with my hype-busting, critical U-X-ray eyes :) I often come away with smoke rising out of my ears. Like the title says this is a rant, but don’t take it too seriously. I’m trying to make a point. Yes, I know that some of these design showcasing sites are not meant to be necessarily for real-world products, but then I still say they need to reflect a thoughtful approach to design, primarily by asking the main question “Who is this for?”, “How will people use my product” and “Is it actually usable?”. Superficial app designs that follow the latest fads and blatantly ignore basic usability conventions, UX best practices, and fundamental principles of interaction design would most likely fail in the real world! Luckily, they usually don’t go beyond the generally ridiculous, self-parading fantasyland on Dribbble and Behance. 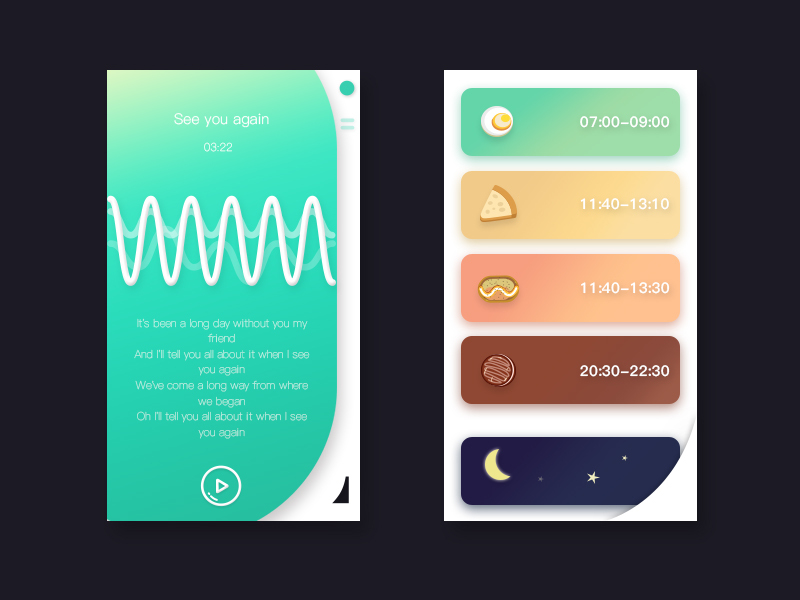 Unfortunately, these “concept designs,” a single screen in an imaginary app, only serve to perpetuate designers being labeled as artists—as pretenders who only care about the veneer, pretty colors, and typefaces. Nowadays, any app design has to go way beyond that. If people in the real world tried to actually use these apps, I guarantee that more than 50% would have a hard time doing so and would subsequently give up in confusion. Digital product designers worth their salt and wanting to elevate their game know it’s essential to leave their ego at the door and to steer clear of unnecessary flourishes, self-serving public parading, and pointless audience seduction. #UXFail! Great user experiences are a must if digital product design is to succeed in the marketplace. To be sure, aesthetics—great looking and feeling designs are important, but they’re only the final touch that complements a usable product that is also a pleasure to use. Striving for aesthetic perfection alone while abandoning usability is ultimately a loser’s game. Pleasurable experiences are those which create the least amount of friction while delivering fluid, seamless interaction and anticipatory experiences (i.e., having things appear as if by magic. The right things, in the right moment, in the right way). The way to get there is definitely not by ignoring established best practices and design conventions and simply focusing on the facade. It’s evident, Dribbble strutters: 1) You don’t understand your user, and 2) You’re copying fads. Are your designs asking these questions? Design conventions, whether in digital product design or industrial design—for example a car or bicycle—are rooted in human behavior, mechanics, physics, the sciences, and extensive research. They follow best practices and the human expectation of how things work because we are used to them, having followed those conventions for eons. These are conventions that have been worked out by trial and error, and are proven to be very effective over time; a bit like evolution. Read about these ten general principles for interaction design in more detail here. 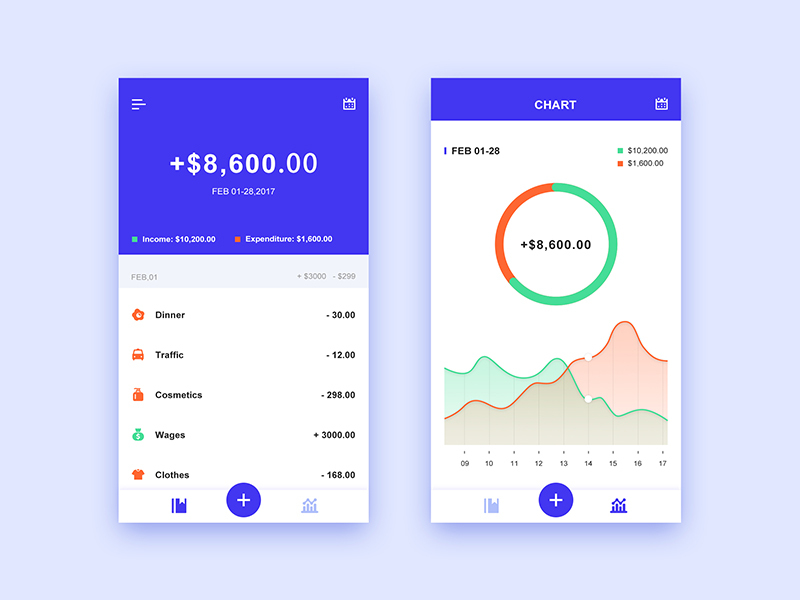 Oftentimes app concept screens are designed by designers looking for lots of likes on portfolio showcasing sites with the aim of pushing their way up to the daily hot shots section on Dribbble. A couple of fancy, minimalist UI designs are not the product. It’s akin to designing a car door without offering any idea of what the rest of the car looks like, or how it works in a real-world scenario. 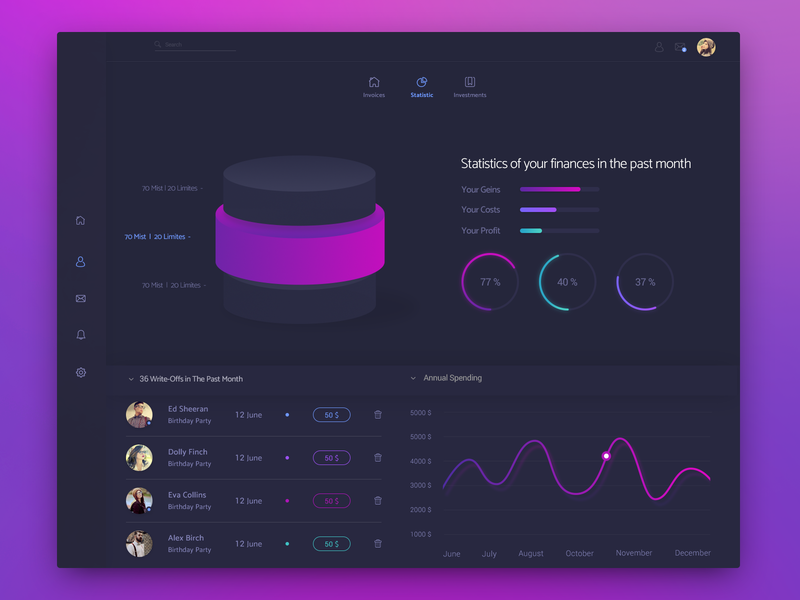 A trading app design from Dribbble. It sports not one, but two menus replete with mystery icons and low-contrast text. Don’t get me wrong! Design innovation is necessary. It’s healthy and critical for any discipline or creative domain to flourish. But it should not happen at the expense of good UX. Let’s make a distinction here and call it design experimentation. Under the conceit of clean, minimalist design, merely wanting to be different and cool, many of the so-called innovative designs paraded on these sites sacrifice basic usability. Usability, a bedrock of great user experiences, is a quality attribute that assesses how easy user interfaces are to use. The word usability also refers to the practices for improving ease-of-use during the design process. Whether an app is useful is defined in terms of utility as well as usability. Utility provides users the features they need; usability is how easy and pleasant those features are to use. Therefore, fancy app designs that ignore these basic tenets of usability end up being useless by definition. 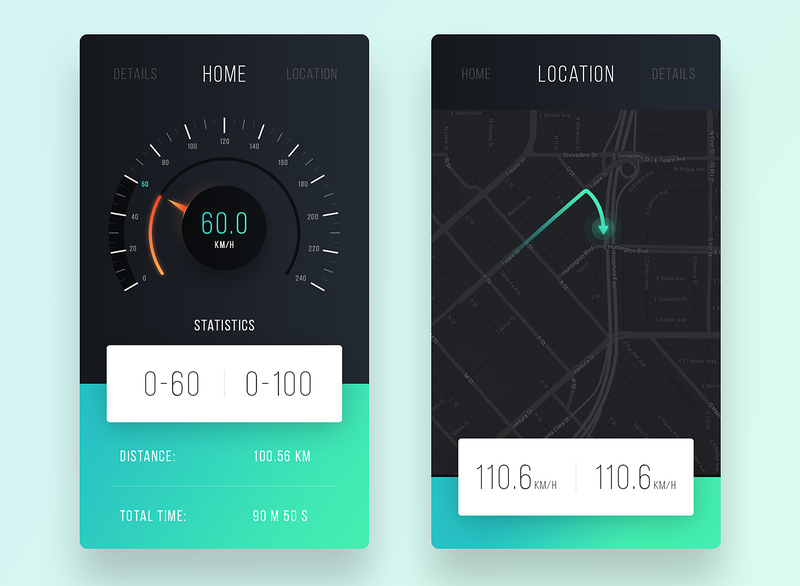 It’s understandable that designers are looking for innovative and interesting ways to design their app’s navigation. But there’s a fine line between the unexpected and unusable. Three things to consider in navigation design are consistency, user expectations, and contextual clues. It doesn’t matter how fancy your eCommerce—for example—app concept design is. If users can’t find the product, they can’t buy it. He was talking about useful design. If a designer messes too much with a person’s mental model of how things should work, the app will fail. If there is a huge mismatch between users’ mental model and the conceptual model, the app is toast. Mental models, as the name implies, are conceptual models in people’s minds that represent their understanding of how things work. One of the most basic principles of interaction design is that a UI must have signifiers if it’s to be useful. If users have no visual cues in the UI that signal available actions or gesture interactions available to them—called signifiers—your product design is DOA. In other words the design has to work on all levels. 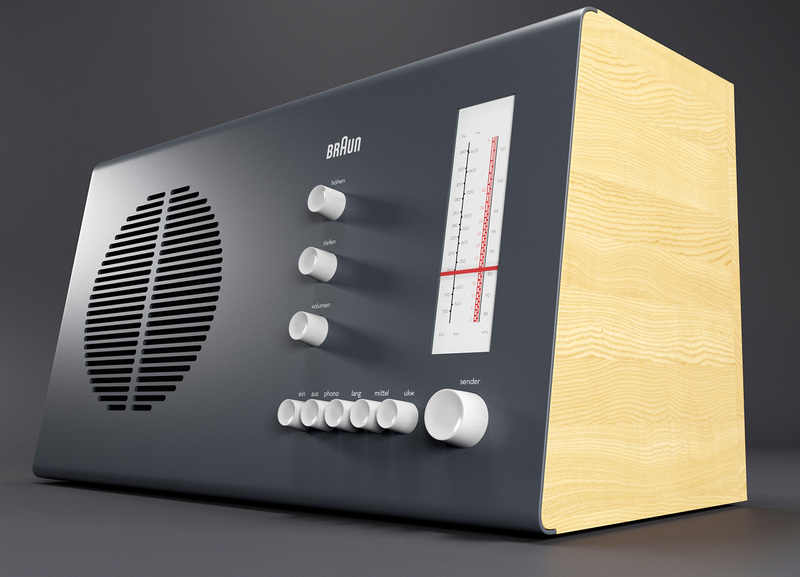 A Braun radio designed by Dieter Rams. True functional minimalism. Let’s remember that visual design—the aesthetic—is just one aspect of UX design. It’s the final layer that should elevate everything that took place before it in the UX design process, i.e., defining the business objectives, identifying the core user (personas), user research, sketches, ideation, wireframing, mockups, prototypes, and usability testing. It’s the final veneer that lifts the overall user experience in alignment with designing for emotions. With bad design in action, what Mr. and Ms. Designer are doing is asking people to decipher and interpret vague icons and symbolism, thereby increasing their cognitive load (the total amount of mental effort being used in working memory). On the other hand, good user experience design will reduce cognitive load. This type of selfish design—yeah, I went there—throws roadblocks in people’s paths, increasing friction and frustration. Is that really the goal? Designers need to provide clear labeling (links and buttons) and obvious signposts (clear navigation) to help users form a mental map of the app and intuit where things are and how to use them. Navigation should be clear, task-oriented, and logical (e.g., screen controls suggest how to use it), and its location should be consistent (e.g., on a menu bar) throughout. Make it obvious where users should tap, if they can swipe, and make the targets large enough to be easily tapped. Prevent errors. Don’t make people guess what something means. Don’t be lazy. Avoid hamburger and kebab menus (the three dots) as they hide navigation and make content less discoverable. In particular, avoid hamburgers that don’t even look like hamburger menus! Yes, space is limited, but it’s been proven that the combination of tabs (top bottom) and hamburger menus perform vastly better than just a single hamburger. 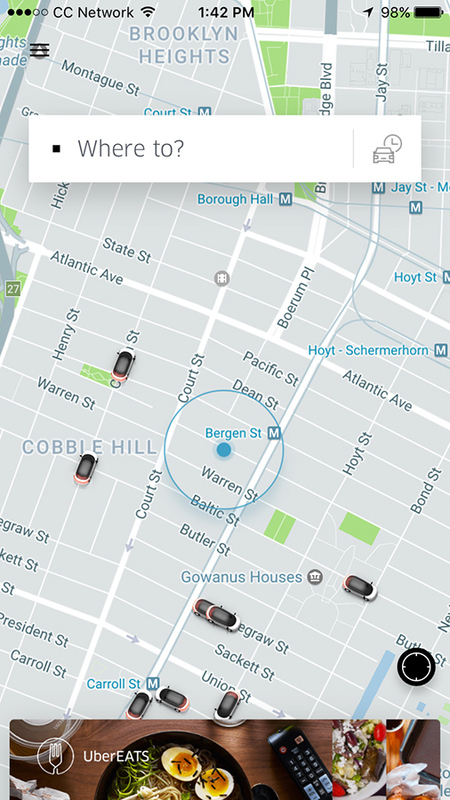 Even Uber is a big UX offender in an otherwise well-designed app. Can you see that hamburger menu? Most people wouldn’t either. 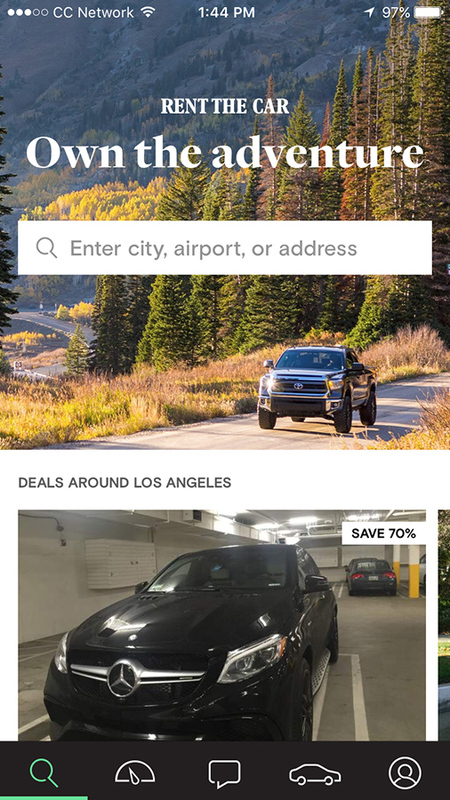 Turo is another big offender with their unlabeled icons in the tab bar. There is zero clue as to their meaning. If your product found its way into users’ hands, would they be able to find things and actually use it? They may not have access to a super-duper setup like the one you used to design these screens. Think again about usability and accessibility (visual disability, physical disability, cognitive disability). According to census data, in the United States at least 19% of people have a disability and the percentage is likely higher in less developed nations. If someone with less than perfect vision picked up your app, would they be able to use it? 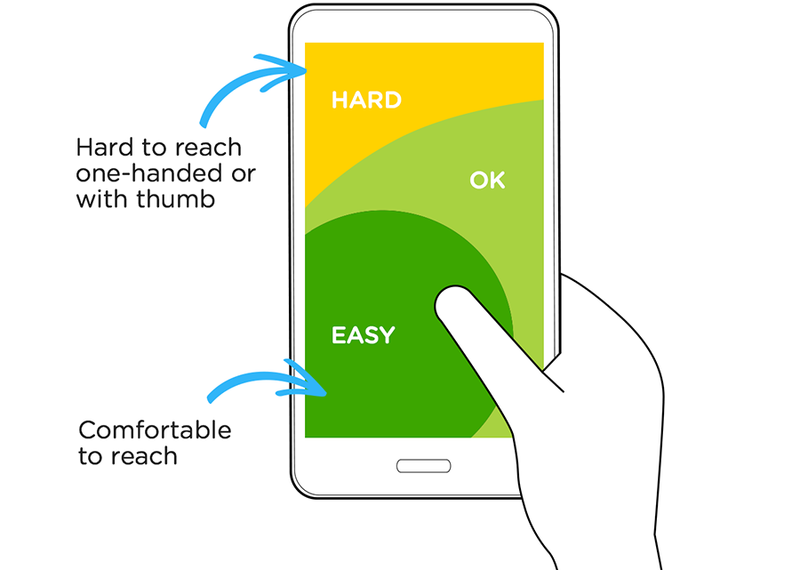 Is your design ‘finger-friendly’ or literally a pain to use? How much do people have to strain to reach different parts of the app screen? Are you considering user task flows, putting actionable items under people’s fingertips instead of making them jump around the four corners of the screen? Is the design really touch-compliant? Have you accounted for the obscured area under the hand that holds the mobile? As Luke Wroblewski points out in Designing for Large Screen Smartphones, have you considered how your designs would perform on larger screens? Is your design really following Apple’s iPhone Human Interface Guidelines recommendation of a minimum target size of 44 pixels wide 44 pixels tall? Microsoft’s Windows Phone UI Design and Interaction Guide suggests a touch target size of 34px with a minimum touch target size of 26px. Almost indecipherable due to the lack of contrast between elements. Icons in three locations, some unlabeled. Designers at Starbucks don’t get lazy. Look, no hamburger menu! The designers even did away with icons and opted for simple text labels instead. 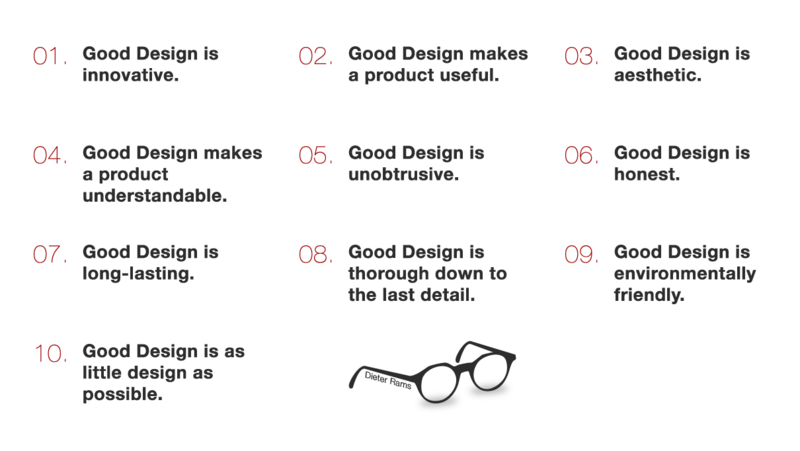 So, what is good design? That discussion could fill a book but, generally speaking, “good design” is when it all comes together for the user of that design. That means for a design to be “good” and useful to users, it has to take into account multiple levels and factors on which it must deliver to be successful. Design trends come and go. The average design trend only sticks around for a year or two; good usability, the foundation of UX design, is here to stay. 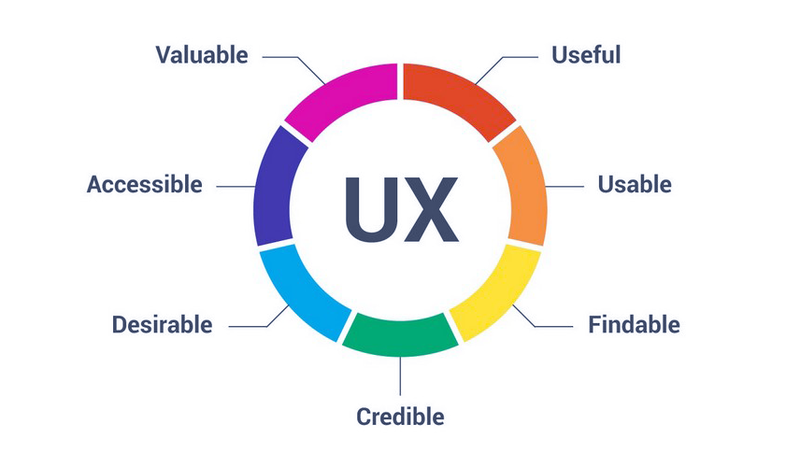 Products that have been designed according to the seven factors of great UX will outlast any design trend, guaranteed. Designers who pay attention—to great usability, UX best practices, interaction design conventions, and the factors that influence user experience—will make a greater impact than those who don’t. At the end of the day, they will be rewarded, and their digital products more widely accepted and successful in the marketplace. If, as a designer, you want to become better at UX—to create useful mobile and desktop apps, not just pretty ones—invest some time learning at least the basics of UX. Start by following UX blogs, subscribe to newsletters and online publications such as the Toptal Design Blog, UX Magazine, UX Matters, UserTesting, uxdesign.cc, UX Design Weekly, or the Interaction Design Foundation. Read user studies conducted with living, breathing participants—real people. As they say, the numbers don’t lie; everything else is hypothesis and assumption. 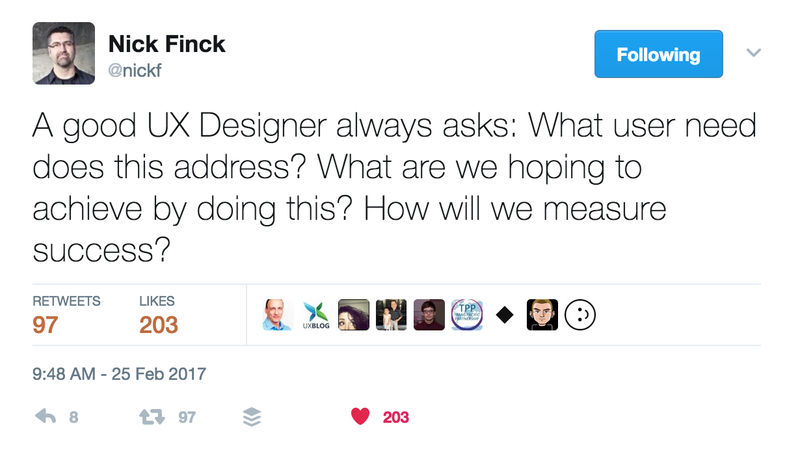 Follow UX thought leaders on Twitter. Read UX articles and white papers, the créme de la créme being The Nielsen Norman Group and Adaptive Path. Medium is one of my favorite destinations to read UX/UI design articles online. Designers all over the world are using it to read about design, user experience, usability, and other topics related to creating and building great digital products. Here are Designers to Follow on Medium. Read some of the foundational, classic books that every UXer I know has on their bookshelf, and treat them like scripture. Read informative online resources about usability guidelines, principles of interaction design, and UX best practices: studies, whitepapers, articles, etc. An article that really spells out the stupidity and vanity of some 'designers'. But don't forget the real villains of the peace in all this, its the marketing folk that think they know best, and want something that's cool and modern, irrespective of the end user. Lost track of the 'old' usable website that have been turned into a blob of clever photo filled one page apps with absolutely no content worth using. What is a try out? Clearly didn't get the point of the article. Well, controversial article for sure! That's good. It will motivate people to discussion. It's clearly that the author is more UX than UI designer. I agree that Spotify is well designed but still I'm not convince that hamburgers are bad in all cases. Going further, lets take the SnapChat as an example, for a lot of "older" ux designers its poorly designed app without any information how to use but for its main demographic target ( people under 25 age) is so clear and easy to use. And this group represent around 70% of total users. 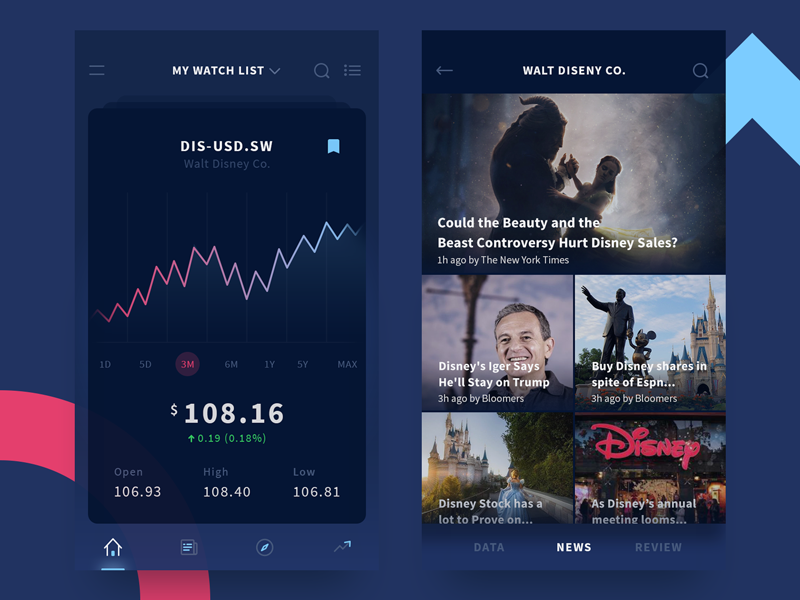 For sure a lot of fancy designs from dribble will die in production stage but not all. I think main purpose for them is to show skill and design taste and this is a lot for potential clients. Peace! Ironic that an article on good functional designs, is strewn with errors - your captions to the images are all in the wrong place. I agree with all, but hamburger menus. Depending on what they hold, they can be very useful. I would rather hide the options that would rarely or never be used behind a hamburger then clutter the screen with them. As that is not user friendly either. First off, I didn't like the tone of this article... there is no need to discredit fellow designers to proof your points. I would rather prefer you had shown some of your own mistakes, the ones that made you learn and evolve as a designer. Secondly, I would like to know your opinion about Snapchat UX, namely "how to breaks all usability rules and be a hit". good design takes into consideration both form and function with a clear understanding of the target audience. The visual aspects and nuances of any design go far beyond being a veneer on a site. The author clearly sounds like someone who can only critique the creative mind because he can not perform. The writer just giving an example of how UX fails with bad design, he took a very brave step to literate us and I really respect him for that, many will not take such step because it'll create criticism for people like you, I wish I can see such articles on internet every often, even if my design is criticized, I'll be happy to take it and try my best to improve in the next project, read the article carefully, hope you'll get some light. No need to thank me, thank author and peace! there is no point to keep such options in the design which was never used, don't take it badly, I just point out my thought. Settings, send feedback, help, account those are some options Google hides behind hamburger on its photos app. Would you seriously sacrifice screen real estate to create dedicated top navigation for those? All I'm saying is that you can put all hamburgers into the same bag. You can't just generalise that hamburgers are bad as at this point you stop designing and start be merely implementor of a so called best practices. Settings, send feedback, help, account those are some options Google hides behind hamburger on its photos app. Would you seriously sacrifice screen real estate to create dedicated top navigation for those? All I'm saying is that you can't put all hamburgers into the same bag. You can't just generalise that hamburgers are bad as at this point you stop designing and start be merely implementor of a so called best practices. I think the point is lost here. You are talking about UX design which is something completely different than UI design. Maybe you have this point of view because you yourself do both. But, these two fields should be separated, although they overlap somewhat. So, you are ranting at dribbble/behance designs taken out of context, made by designers who wanted to present their visual skills, rather than creating the whole app. 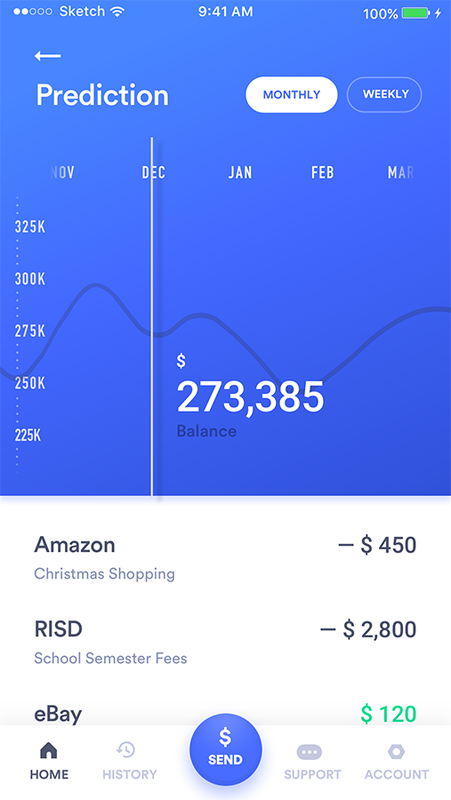 I am not arguing that many apps focus on beautiful and forget about UX, I am just saying that you can't get angry at UI designers for creating pretty designs - it is their job. And when a UX designer provides thought-through wireframes (after user research etc.) 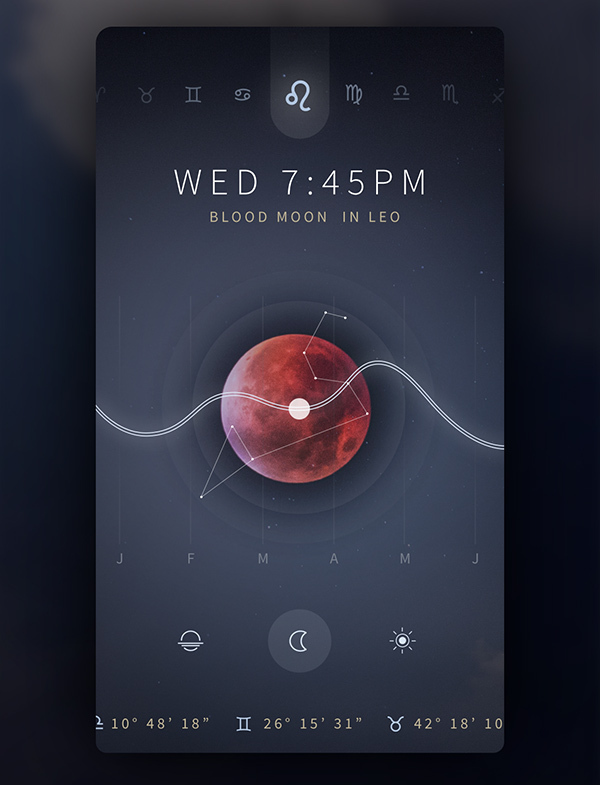 then it is a UI designer's job to make those already structured screens beautiful. I understand where you were going with your examples, but I find it highly misfit to judge someone's visual 'exercise' as poorly done UX. Brave? this is not brave... Brave is disclosing your own mistakes, a more productive approach had been interviewing those designers to know the context of those apps or pointing out design mistakes without blaming fellow designers. We all work within a context, maybe those designers had nothing to do with UX and just created a nice UI... which is a good thing. Criticism is ok. Denigrating the reputation of fellow designers is unethical: http://www.aiga.org/standards-professional-practice 2.4 A professional designer shall be objective and balanced in criticizing another designer's work and shall not denigrate the work or reputation of a fellow designer. Did you read the studies on hamburger menus? I mean with actual people, not in designer fantasyland. haha your first sentence validates the point I was trying to make with the article. Then, in the second half you destroy your first sentence by saying "it goes beyond". Where is beyond, where does it go? Care to elaborate? And for your info, I can not only critique design work I also "perform it" pretty well. How is UI design "completely different" from UX design if it's not part of it? They don't just "overlap somewhat" one is a part of the greater whole. Care to explain? How are design taken out of context from Dribbble / Behance? What is it for if not to represent a designers work as "good design"? What is good design? "Creating pretty design is their job"? The answer is outlined in the article. Snapchat is probably 1 example in a Billion and it's successful because it's designed "as a toy". If you're suggesting that all apps should be like that I think that would be a huge mistake. I thought you might get hung up on my wording of "completely different". But the point I wanted to get across is that with this article you didn't go against the common misconception of equalizing UX and UI, as if those weren't two different positions and shouldn't be done by two different people with two different skill sets. You can always look for a unicorn, I am not arguing with that, but you attacked visual designers for not thinking about UX, what should be UX-er's job. I did, and I appreciate them, I would never place main actions behind a hamburger. But I think that all apps are different and religiously applying studies from 2014 to every single case simply makes you lazy. Again I would hate to see Google taking out all its hamburger contents and place in tabs. After all I want to see as many photos as possible not some options I maybe use once or twice a year. quite the snappy one arn't we? Just to let you know I reviewed your portfolio on toptal before I commented and I stand by my statement. Now lets look at the world of design shall we? As mentioned elsewhere SnapChat breaks almost every convention you mention but has ben hugely successful, in addition to this other applications like Slack, Instagram and even Apple stray from the box you would like to contain them in (these aren't well thought through are they?). Stand alone iconography can extreamly successful when dealing with localization and has been used by generations of people to break this gap. To further my point the Architect puts his dream to paper before and the Industrial engineer forms the shape of their car ... well before the engineer steps in, why should application design be anything different. In your world we would all be living in square boxes lacking any true beauty, it would all just be superficial and layered on top. We had an issue early on with some of the images showing up in the wrong places. The issue has now been fixed. Thanks for pointing it out. For the record, I used "bad design" ONCE in the whole article simply in contrast to "good design" which was outlined (what constitutes good design). I also don't think comparisons between painters are good. SnapChat is a hugely successful communication channel and has growing popularity as a marketing tool, it is more than a "toy" (my personal feelings on the app aside). Oh and I'll name a few more apps that are hugely successful that break your rule set. Nike Running, Instagram, FlipBoard, Dwell, Behance (mobile app), Slack. All of these apps have millions of users interacting with them on a daily basis. Yes he is "talking trash" on "design for the sake of making things pretty", which the reader is warned about in the title-- "A Rant on Pretty App Design"... What else did you expect?? Speaking of try-outs (spec work? samples? ), if you're a designer who cant handle criticism on your design, you shouldn't be a designer. I've gotten far worse "bashing" from clients and employers than this guy is dishing out and its not even directly to the designer, nor are any of the designers even called out in the article (addressing denigration), only the app names. I think its great that these "artists" are taking the time to do things like this. Dribbble and Behance are showcase sites. What are you expecting? UX architecture and wires? Seriously? These sites give design inspiration and help push other designers to try new things and explore or even spark new ideas for their own project/product. If we didn't have this exploration and crazy ideas, things would be pretty boring and lifeless. 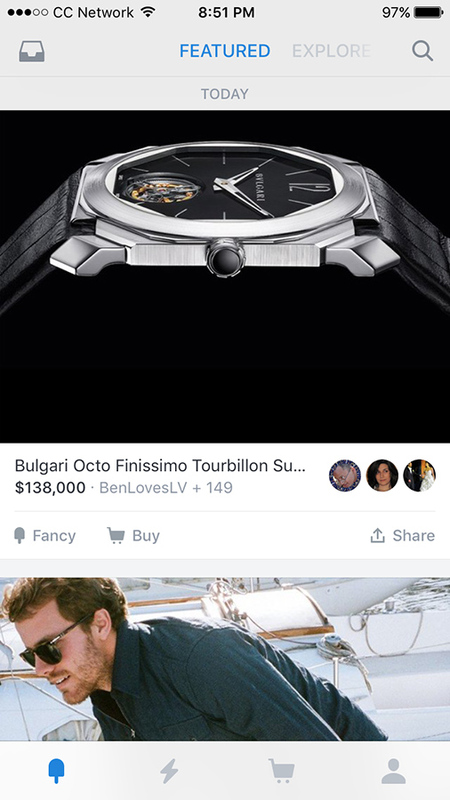 Please stop bitching about people trying new things and taking risks. Maybe instead of taking the time to write this bash article, you should use your time wisely...say maybe improve your own visual and typography skills. At first I started with Illustrator but then I changed my mind and continued with Sketch. It's so much easier working in Sketch app using symbols and resizing options. Uh, what if those examples were meant to showcase visual design, not user experience design? I'm a visual designer that sits next to a user experience designer. The point you're missing is that design is contextual. Different audiences and different needs merit diferent solutions—that can be both UX and visual. A banking app, for example, might want to be border-line septic and want to follow UI best practices to be as clear as possible. That can perfectly coexist with less traditional flows like tinder or flipboard that A.) solve different challanges and B.) create unique paradigms. And let's get one thing out of the way very quickly, there is no such thing as "intuitive design." Give an iphone to somebody who has never looked at one before and they will have (almost) no idea what to do. Users are intelligent, they can learn, and often that can compliment the UX. Design can (and in my opinion should sometimes) be emotional. Visual design can help develop emotional experiences that can ultimately IMPROVE the UX. While I do agree with you that many of these Dribble/behance designs can be confusing it seems extremely narrow minded not to allow for experiemntation in UI or UX design even at the risk of losing clarity. Often times what is "best" isn't established or standardized. Design is iterative and builds off itself. To not allow room for that and lambast it so critically lacks a fundamental understanding of the history and context of design. Also, P.S.. completely thoughtless of you to say that you wouldnt know how to use some randome dribbble shot. OF COURSE you might not. You dont have any context as to what the experience is and more often than not these are early itterations that serve as visual experiements. Have some empathy... isn't that what you're preaching in the first place? 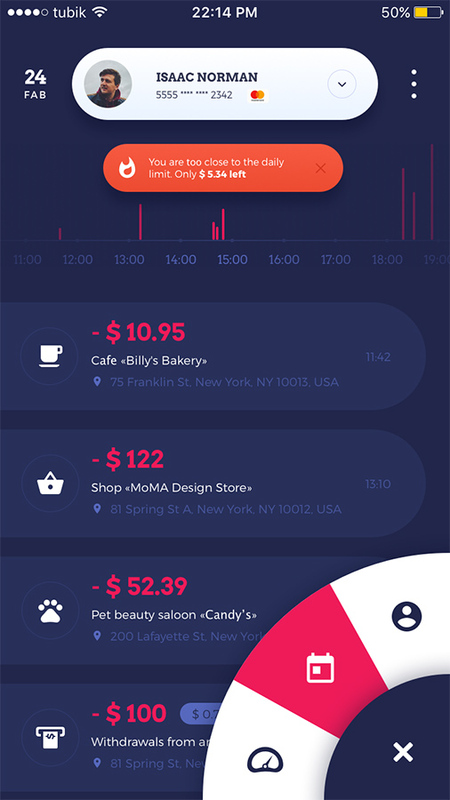 Weather app by Jona Dinges — amazing Accounting app from xiaoniaojiu on Dribbble — stunning! …the guy is simply clueless about design and user experience. Good design with bad usability is a better user experience than bad design with good usability. A design that is work in progress? What you’re referring to is usability most of the times. Some pretty designs aren’t usable (maybe that’s the intent? ), but they still provide a great user experience. Not ignore it, but await it. Much like a mood board. I can communicate texture, colour, and typography, validate it against a brand and its objectives, then extrapolate meaning when applying to matured ideas. Just like a how user experience deinger can do his job, without having to be concerned with visual design but obviously considering interaction design. I am sorry but I believe you are wrong, Sir. Good UX is a marriage between Visual Aesthetics and Usability. As a user, I won't use an app that's very easy to use but has no visual appeal or vise versa. Have a good day. This was such a poorly thought out article that I had to create an account just to comment this. The article completely undermines what could have been a legitimately valuable conversation among designers. Instead you called it a "rant" (which implies an open stream of consciousness with no actual research into the subject) and then turned it into a witch hunt calling out designer's products and holding them against standards they weren't created for. Which if you are into doing, care to defend the UX and UI design of this beauty? https://uploads.disquscdn.com/images/4e89c4e4ce408815091f94af7576bddfc490d722018d0d45710c889652ac1d6c.png Back to the matter at hand. I don't think you understand what Dribbble is, at least, what it is now. It is a collection of eye candy. It is a platform for designers to post content that keeps them active within the community and a space to flesh out ideas. Not all, but most, of the highly liked content on Dribbble was NEVER meant to be an actual product. It was designed to look good in a 400x300 container. So WHY are you treating it like a real product? There is no UX design if there is no user. Dribbble is a great space to create ideas with no repercussions. That freedom from constraint can often lead to ideas that you can apply in real world projects, or not... Worst case you got to sharpen your skills, try out crazy color patterns, wacky animation, unconventional navigational patterns, all without the burden of having to sell to a client or obsess about Human Interaction guidelines. Dribbble is why (most of us) were interested in design in the first place. A place to be creative. I understand that's not why it was created, but that's where it is now. This would have been such a better article and resulting comment thread if you would have only focused on actual real world products and critiqued their usability. Instead you made it into a witch hunt and a majority of the comments are ones like this. I beg to disagree. Design is not how it looks it's how it works, the totality of it including visual design. But, aesthetics come last. The last layer of paint after the house is built, if you will. Would I be rude to ask if you'd like to share your sketch file? I'm sorry, but these diagrams I made for my client and they are not suitable for sharing. I suppose as a designer you are working with Sketch or Illustrator, you can also try from scratch by yourself. It is not so hard thing to do! But if you are crawling with mapping and defining interactions between these diagrams it certainly won't help you to have my sketch file. Same here, when I'm trying to code some silly thing in PHP. Sometimes it's better to hire someone to do such a things for you, if you are in budget, of course. There is no reason to bothering yourself with work that not suitable for you ..... unless you really want to do this by yourself. While I feel this article has a lot of very valid points and I considered sharing it with my organization, I find it really difficult to share an article encouraging strong UX design from a website that hijacked the whole browser window on load to push an advertisement for their services at me. This is one horrid pattern on the web that will always prevent me from sharing an article. I wish it would die. Thanks for writing this article and sharing these examples of how functionality is lost due to designing away from the product. Functional software does not have to look like a tractor; it can look like a Porsche. It cannot, however, look like a Porsche that’s missing its steering wheel, brake, and accelerator pedal. Self evident designs doesn't need adding labels. so adding labels to everything doesn't solve the problem. instead it will take up screen real estate. 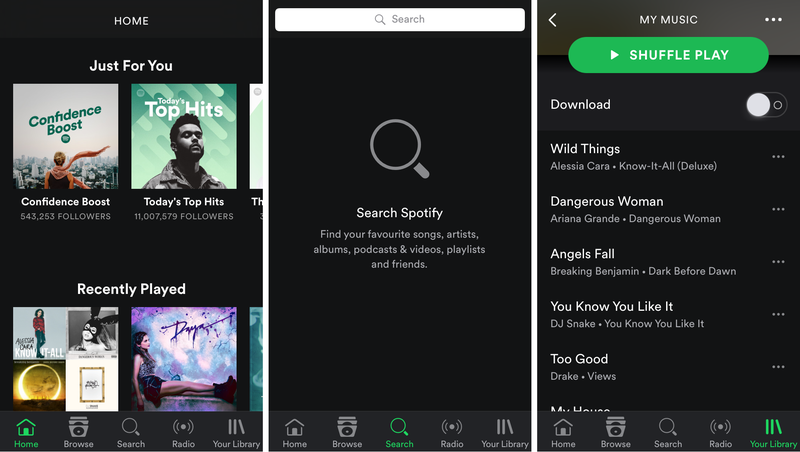 Plus added that some designs provide discoverability (Not the examples of those designs). Good writing anyway.